Export email is necessary for offline processing (such as sorting) your mails, or for transferring to another server or client (such as Thunderbird export email to Outlook or to some Web service). Handy Backup allows to export emails from almost any type of local or Web client in exist. How to Export Email Messages with Handy Backup? These are two approaches to this task. The first allows export email data from a local client (such as export all emails from Outlook). The second approach is to copy data from a Web mail service (for example, when you wish to export Gmail emails). When you want to export emails, you must firstly make email backup, and then restore these emails to another place (a local client directory or a Web mail account via the IMAP protocol). These two tasks, backup and recovery, must run consecutively in advance. Note: You may export email messages between most local clients and Web services freely with only minimal tuning up, if these clients and services support the standard EML message format (which you utilize, for example, to export Outlook mail). Open Handy Backup and create a new backup task on the Step 1. Then follow the next instruction to create a pair of tasks for export email between local clients. On the Step 2, select the "Computer" plug-in in the "Local or network drive" group. Note: To export emails from Outlook client, you may utilize the dedicated, easy-to-use "Outlook" plug-in, which search and select Outlook data automatically. Find a folder containing the message data from your local client. Alternatively, you can use a file filter for including all files with the name mask matching “*.EML”. Continue creating a new backup task as described in the User Manual. Now it is a time to restore from backup to export email! 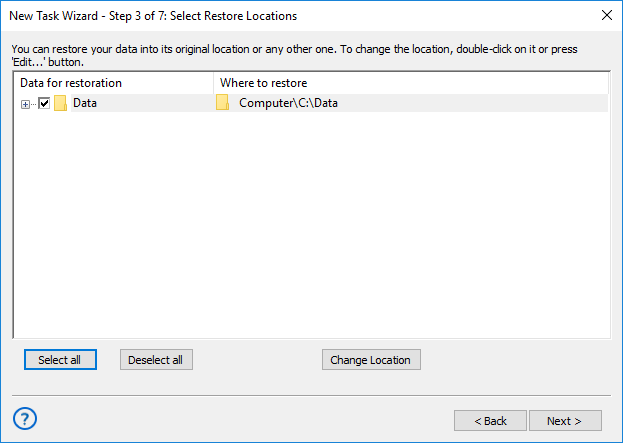 Create a new task and select a restore task type on the Step 1. Here, find a file backup.hbi in the folder containing your email backup. Click “Next”. On the Step 3, click the “Change location” button. Select a new folder for another local client to export email content from your original location. Click OK. 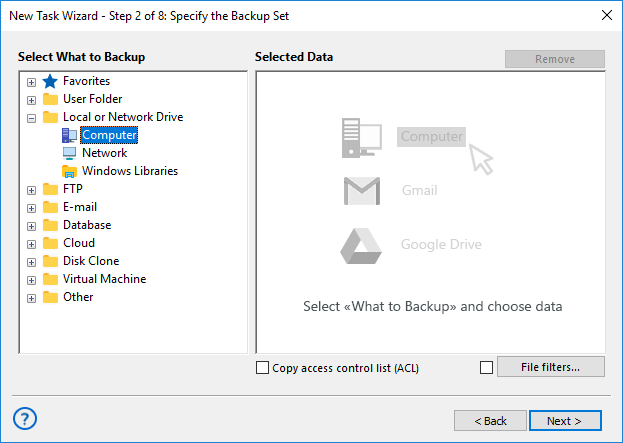 Proceed until the final step (again, you can schedule this action to run within an hour or so after an email backup task), and give your task a name. Run it to restore emails to new location. That is all! By using this method, you can allow such clients as Thunderbird export emails to another place. 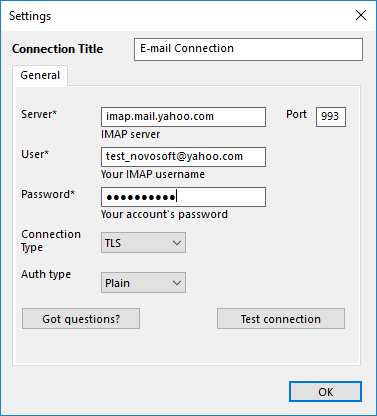 This action uses the dedicated "E-mail" plug-in and the standard IMAP protocol to connect with mail services. Before using this method, you must enter into your Web email accounts and allow working with local email clients. 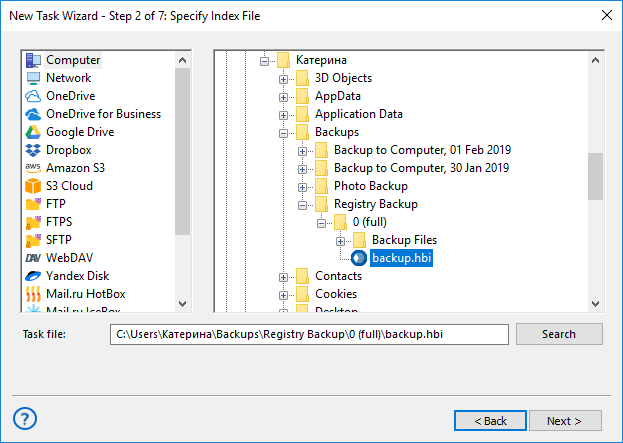 This is important to connect these services to Handy Backup! Create a backup task as described above. On the Step 2, select the "E-mail" plug-in from the "Email" group. Create a connection for your first email account, and then select messages to export. Continue creating a task as described above, until the final Step 8. Give your task a name, and run it immediately. Next, we will restore data to export email, please refer to User Manual. Again, create a new restoration task. On the Step 2, select the file backup.hbi in your vault. On the next step, click "Change location" and select a new server to export email content to it. You may need to create a connection with this new server, as described above. Continue until finishing a task creation wizard. Give your task a name on the final step. Run it. The new pair of tasks will export email messages from one account on some Web mail server to another place! Note: To export Gmail emails, you can utilize the dedicated, easy-to-use "Gmail" plug-in based on the same IMAP protocol as the generic "E-mail" plug-in. You can freely export email data based on the common EML format from a local client to an IMAP-based service, or vice versa (e.g., export all emails from Outlook to Gmail, or export Gmail to Thunderbird, and so on). Note: However, that you may lose some tag info from exported emails, due to slight differences between interpretations of header data in different email clients and services. Experience how to use Handy Backup to export email content just now, by downloading a newest version of the program witl all plug-ins and functions for a 30-day free trial! 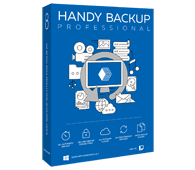 Handy Backup uses all standard protection tools for data transfer, such as protected IMAP. It can also encrypt temporary data during export email, and provides a bunch of protected storages for a vault, including secured SFTP/FTPS, commercial clouds (Amazon S3, Dropbox etc.) and its own HBDrive cloud. 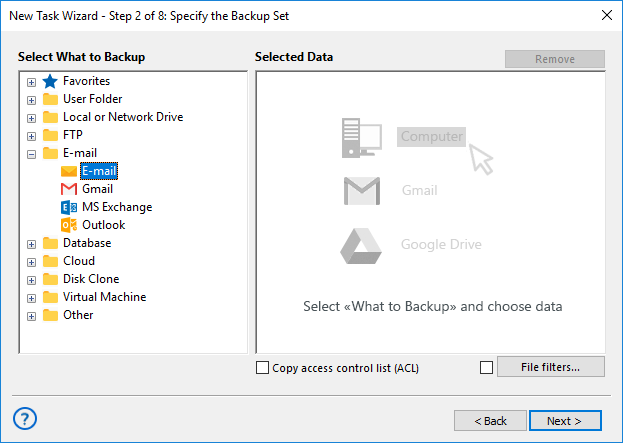 In addition to automating exporting email data itself, Handy Backup allows many auto actions, such as removing transitional content from a temporary vault after exporting email by auto-running a batch file after a restore task. It also can send detailed task reports and logs to a user via the provided email. With a good selection of storages and all necessary plug-ins to export email data, the Professional edition is a perfect choice of IT experts and advanced users throughout the world!